In a real survival situation there’s not much you can use for help. Yes, we’re trying to prep and control that. BUT… if I were to quiz you about what to have close when disaster strikes, what would you say? Here are some articles from this week that can provide some answers. “Here are 10 essential herbs, including some of their uses and guidelines to get started on your herbal apothecary. Health made simple and easy. A few herbs that you can grow indoors or outside. Herbs you can use for preparing medicines with simple techniques as our ancestors did. 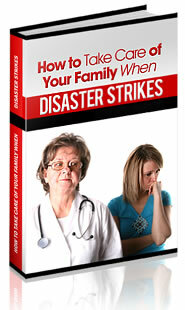 Read more on Family Survival Planning.